2019 ushers in a new beginning, a kick off to a breath-taking season where we are gonna cram the lineups to fire our brand - Downtown Friday! Forget all the parties you've ever attended, this Friday live your wildest dreams at Priveé. 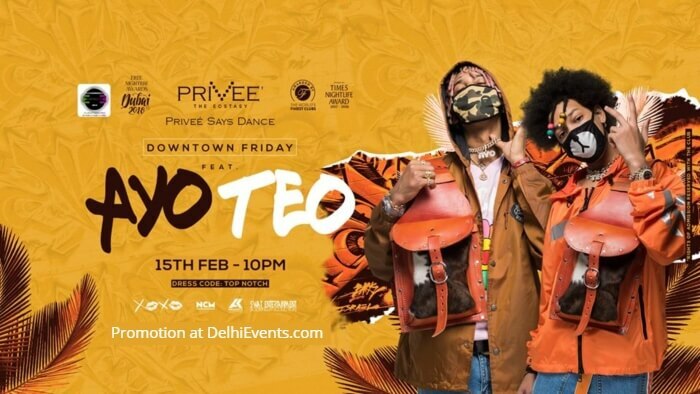 Witness the greatest showcase of the most authentic hip-hop music in a grand style as we begin with the most fascinating artists of all times, the Kings of hip hop music, Rolex fame American duo- Ayo & Teo!